Mr Janek Januszkiewicz is founding co-director of the New Zealand Institute of Plastic and Cosmetic Surgery. 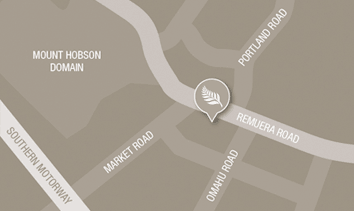 His private practice is located at 243 Remuera Road, Auckland. Throughout my career I have regarded effective communication and compassion as the cornerstones of good medicine. In my practice you will find the emphasis is on providing personalized care tailored to the individual in a safe and professional environment. The most modern surgical advances are incorporated into well established methods including minimal incision or short-scar techniques. My experienced team of staff and I provide a full range of cosmetic surgical services. I am New Zealand born and educated having graduated from the Auckland University School of Medicine in 1986. After completing postgraduate plastic surgical training in New Zealand, I was admitted to Fellowship of the Royal Australasian College of Surgeons in 1993. A further three years of postgraduate plastic surgery training were spent in the United Kingdom and United States. This included one year in Atlanta, Georgia, at the prestigious Emory University Department of Plastic Surgery, where I studied under the guidance of two of America’s leading plastic surgeons. Since returning to New Zealand in 1996, I have developed and run training courses on endoscopic techniques for plastic surgeons from Australasia and Southeast Asia. Until November 2004 I was also Clinical Tutor in the University of Auckland Department of Surgery; a Consultant Plastic and Reconstructive Surgeon at Middlemore and Kidz First hospitals; and a Visiting Plastic Surgeon to Auckland/North Shore hospitals and Starship Children’s Hospital. My medical writings include chapter contributions to surgical textbooks, numerous articles on cosmetic and reconstructive surgery published in peer-reviewed journals, and I have been an invited guest lecturer at national and international surgical meetings and instructional courses. I remain actively involved in the education of New Zealand’s young plastic surgical trainees and have participated in volunteer international surgical missions (Interplast) providing plastic surgery services to children in countries less privileged than our own. I serve on the Editorial Board of the Aesthetic Surgery Journal, the preeminent international scientific publication for aesthetic surgery. I was privileged to serve as President of the Australasian Society of Aesthetic Plastic Surgery from 2006 to 2008. I was Chairman of the Membership Committee for the International Society of Aesthetic Plastic Surgery (ISAPS) from 2008 to 2012 and the New Zealand National Secretary for ISAPS from 2007 to 2014. 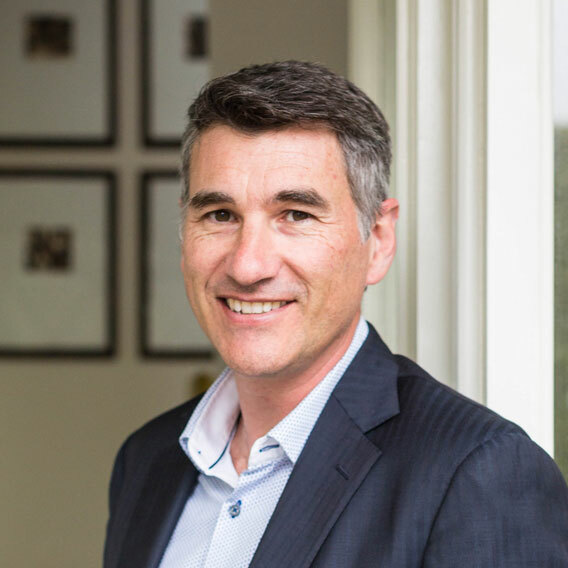 I am a member (and former National Secretary & Treasurer) of the New Zealand Association of Plastic Surgeons, the Australasian Society of Aesthetic Plastic Surgeons, and the New Zealand Foundation for Cosmetic Plastic Surgery. I was an active member of the American Society of Plastic Surgeons from 1996 to 2009. I visited Dr Januszkiewicz on recommendation from a friend who is a nurse involved with appearance medicine. Several of her clients had been impressed with their results and she described him as being the best for the procedure I wanted – breast implant removal and a breast lift. During my initial consultation, I felt comfortable and respected – Dr Januszkiewicz empowered me by providing me with several surgical options to consider to achieve the result I wanted. The nursing and reception staff were also friendly and helpful and happy to answer all of the questions I had, without making me feel silly for asking. I had not undergone a general anaesthetic for many years and I appreciated the opportunity to speak directly with the anaesthetist – her description of Dr Januszkiewicz as an ‘artist and a scientist’ also provided confidence that I was in the best hands. From my first consultation throughout my recovery, which was without any issues or complications, to post-surgery follow up appointments, I felt comfortable and respected. Dr Januszkiewicz was extremely empathetic, and the surgery corrected all of the issues I was concerned and self-conscious about. I could not be more pleased with the results and would absolutely recommend Dr Januszkiewicz and NZIPCS. “I would like to express my sincere gratitude for your help, expertise and understanding through such a difficult time in my life. I am delighted with the result and praise your ‘surgical brilliance’. I feel lucky to have been under your care. The outcome has helped me put my life back on track, and deal positively with my future. “Just wanted to say thanks again to you and your plastic surgical nurse. You guys have been amazing and I love my results. You couldn’t have made me feel any more comfortable and happy with the whole process from consultation to recovery. If you guys need references or anything I would be more than happy to give one as I just hope anyone else wanting surgery knows how great you are. “A very long overdue note of thanks to you and your lovely team for the wonderful breast reduction. “I’d like to express my gratitude for the wonderful job you did on my nose – not just for the final result but for the professionalism of both you and your team throughout the process. “I’d just like to say thank you for my wonderful new breasts. They are even better than I expected. I love them! I’d also like to thank you for making me feel so comfortable about it. I was rather nervous and embarrassed when I first came to see you, but immediately you made me feel relaxed about everything. “To Janek and Karen C, I wanted to put into words how grateful I am to you both for the wonderful care you have shown me. I am so thrilled with the result and only wish I had undertaken the surgery earlier! However, after dwelling on the idea for years, discussions with you put my fears and anxieties at bay and I couldn’t be happier. You never made me feel that any question was too ridiculous and the levels of communication were fantastic. I also appreciated the privacy observed with regards to mail and gym suspension letters. Whilst surgery carries obvious risks and complications you still managed to make it a fun and exciting experience but still maintaining utmost professionalism. I felt fully informed throughout the whole process. Please extend my thanks to Dr Marshall too, all the theatre staff, office team and also Raewyn who took great care of me pre and post op. That first cup of tea was magic! For more information about my breast plastic surgery please visit www.breastplasticsurgery.co.nz.